Have a blast with baby in this party-time companion to the hit board books Baby Loves to Rock! and Baby Loves to Boogie! and the lemurs hang the streamers. and the pheasants wrap some presents. But who is ready to party? With playful illustrations, funny puns, and rhymes about a crew of critters bringing down the house, this energetic and adorable story from the rock star creator of Baby Loves to Rock! and Baby Loves to Boogie! is sure to please party animals of all ages! Wednesday Kirwan is a graduate of Kansas City Art Institute and an award-winning children’s illustrator and fine artist. Her illustrations are inspired by the children she’s worked with as an elementary school art teacher and as an educator at the Bay Area Discovery Museum in Sausalito, California. Wednesday lives in San Francisco, California. 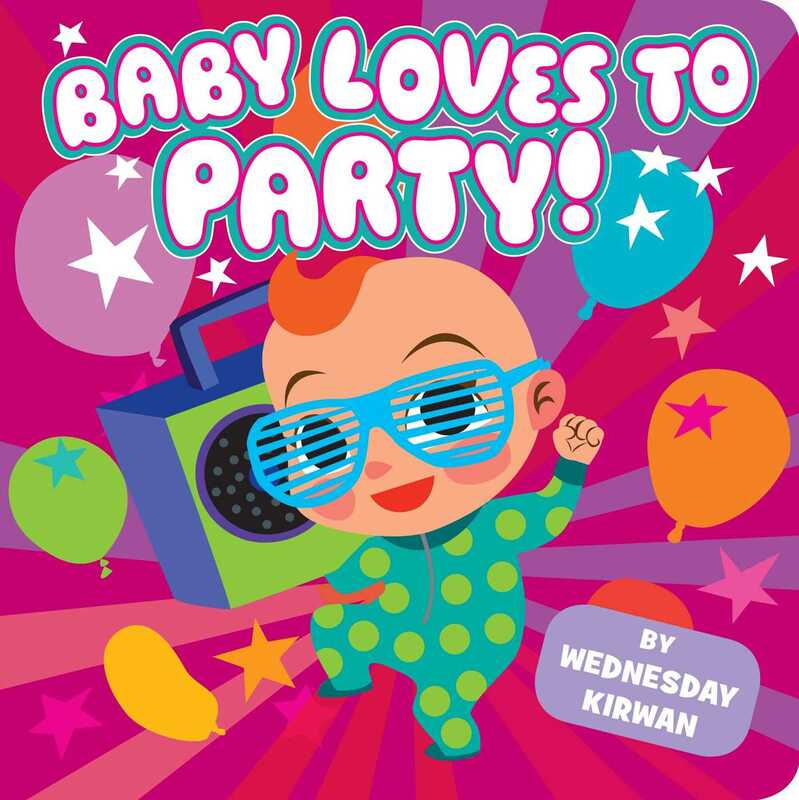 Book Cover Image (jpg): Baby Loves to Party!